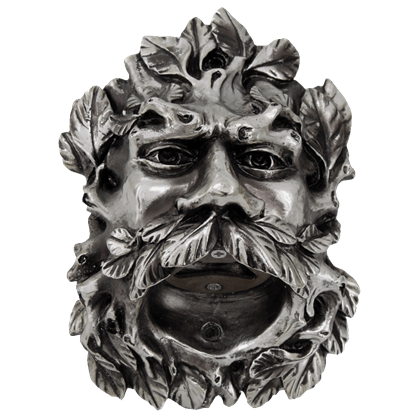 With their wise faces and natural charm, our greenman incense burners are perfect for helping you enjoy your favorite stick or cone incense scents. The incense burners here all feature a greenman aspect to their design, whether they take the shape of an ancient tree with a greenman visage crafted within its bark or they simply feature a face of leaves decorating one end. We have horizontal and vertical incense holders as well as backflow incense burners. 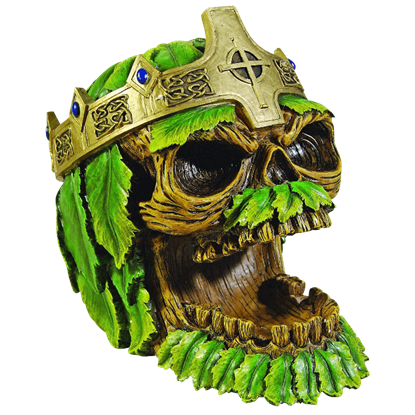 All our greenman incense burners have incredible details that give them a lifelike appearance, and many have been painted by hand. 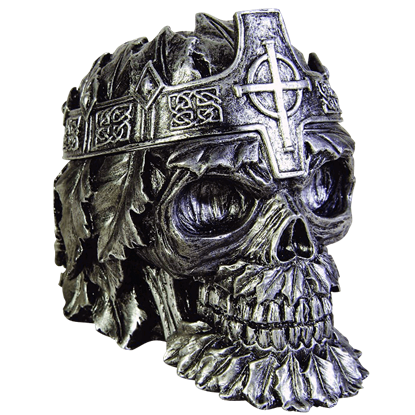 If your home decor could use the touch of nature with just a hint of enchantment, be sure to take a look through our selection of greenman incense burners here. The green man can be found almost anywhere - in art, in cathedrals, in castles, in carvings, in paintings, in sculpture. Now he can also be found on the Green Man 2 Liter Oak Barrel too, acting as an accent in your home and kitchen. The green man can be found almost anywhere - in art, in cathedrals, in castles, in carvings, in paintings, in sculpture. 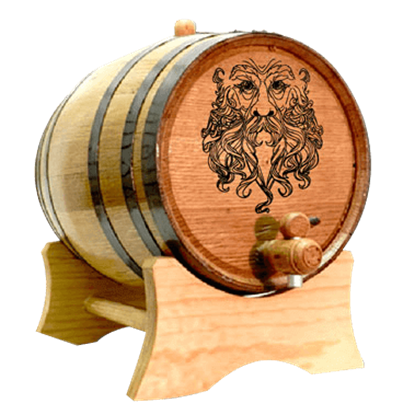 Now he can also be found on the Green Man 5 Liter Oak Barrel too, acting as an accent in your home and kitchen. Being a nature deity, the pagan god known as Cernunnos is very similar to the spirit known as the Green Man. The ideals of the two are so in line, that instances such as the Green Man Cernunnos Metal Sign happen and they become one! Ancient symbols of rebirth, Green Men are said to be the guardians of plants with the ability to encourage growth. 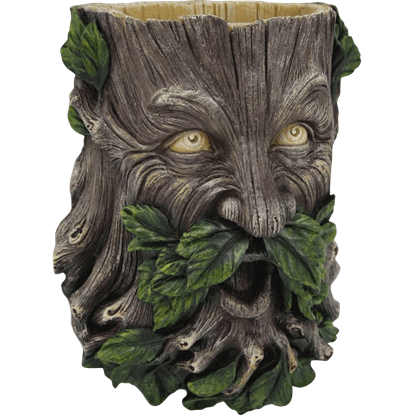 Maybe some of that nature-spirit magic will rub off on your flowers when you plant them in the Green Man Planter. As the name points out, the legends of greenmen are so often depicted as just male figures. But what about the faces of women who appear in the leaves? 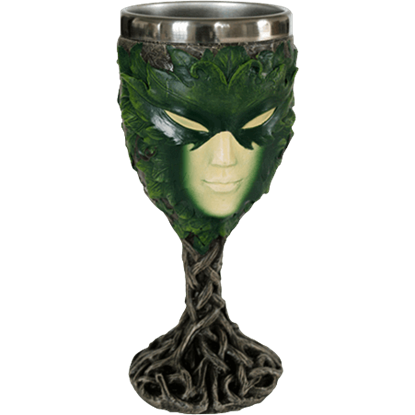 Pay homage to greenwomen while you enjoy a nice beverage in this Greenlady Goblet. 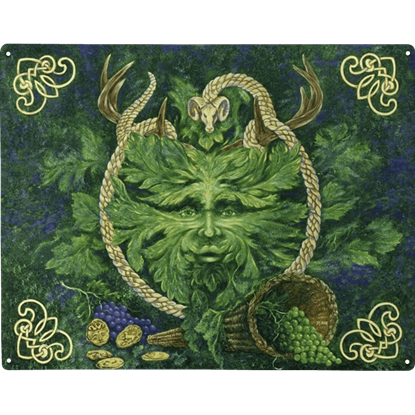 A symbol of rebirth and the season of spring, the Greenman appears in many cultures throughout the world. 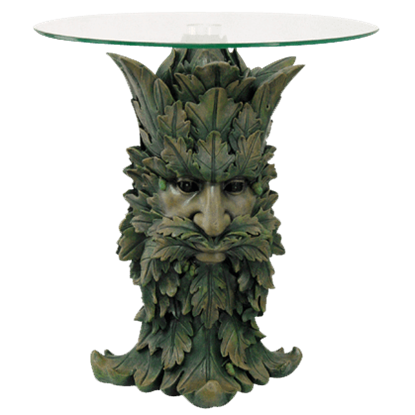 The Greenman Glass-Top Table allows you to celebrate nature with the leafy motif of this mythological figure. 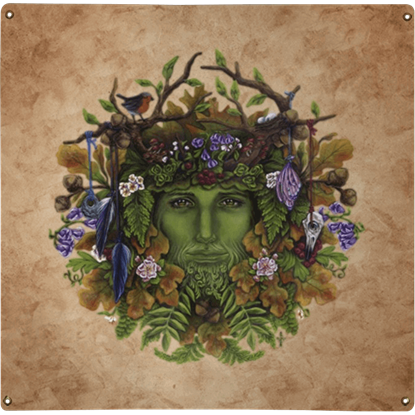 A symbol of rebirth, the natural world, and spring, the Greenman appears in the mythologies of countries around the world. 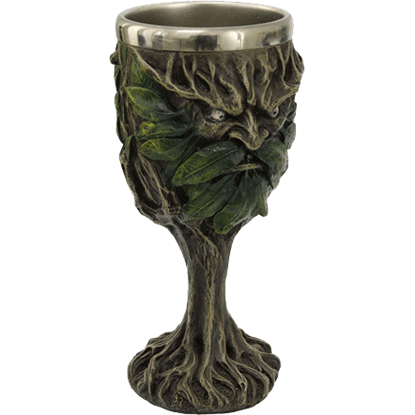 The Greenman Goblet features this deity with his face forming out of the leaves and branches of a tree. The Greenman is a peaceful nature spirit who wants nothing more than to see plants grow and thrive! 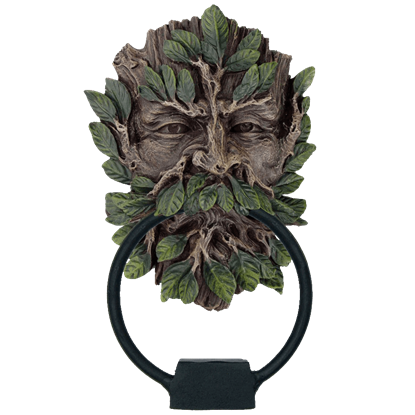 Fortunately for you, that includes all the potted plants inside your home, so why not hang the Greenman Metal Sign up at home?